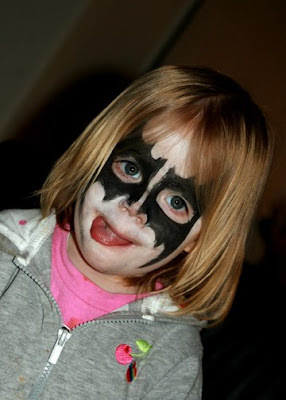 In Gene Simmons' KISS makeup. Bo took Lotus out to family night at the mall, where there was face painting. I was home knitting. And she came home looking like this. My first honest reaction: horror. But seconds later I embraced the coolness. And laughed really hard. 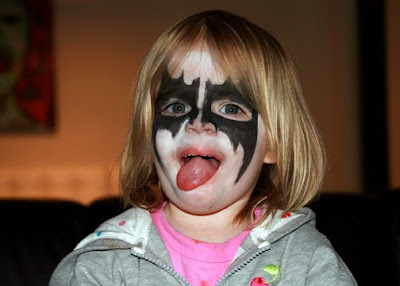 Who else paints their two year old daughter's face in KISS makeup? I heard that she terrorized the mall play area and got a lot of compliments. My family kicks A. 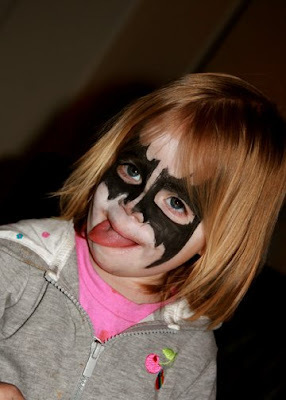 Lots of great photos on your blog!...the kiss pics remind me of the movie "Role Models" (I just saw it last night and laughed)...looks like fun..thanks fo sharing! haha that is just awesome! ZOMG. 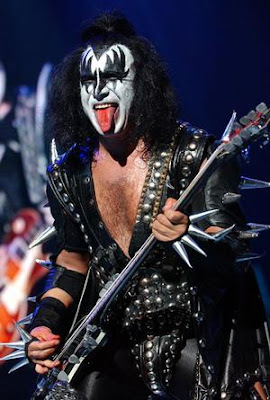 how did i miss this, geigley? SO totally rules. you are right. your family TOTALLY kicks A.